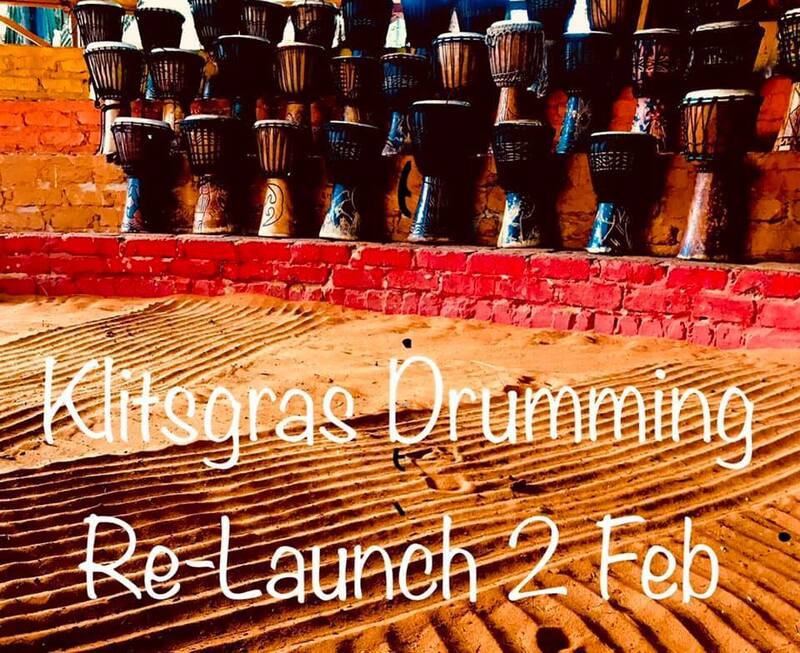 Klitsgras Drumming is Re-Launching this year on a Saturday & will be open on every second Saturday throughout the year. Our new events will have more of the same (drumming, fire dancing and a good time) but will start earlier and have even more fun activities for the whole family during the day. Watch this space for schedule of events. The usual Klitsgras Drumming will however start from 18:00 and you can expect the good old awesome drumming experience you love and know.